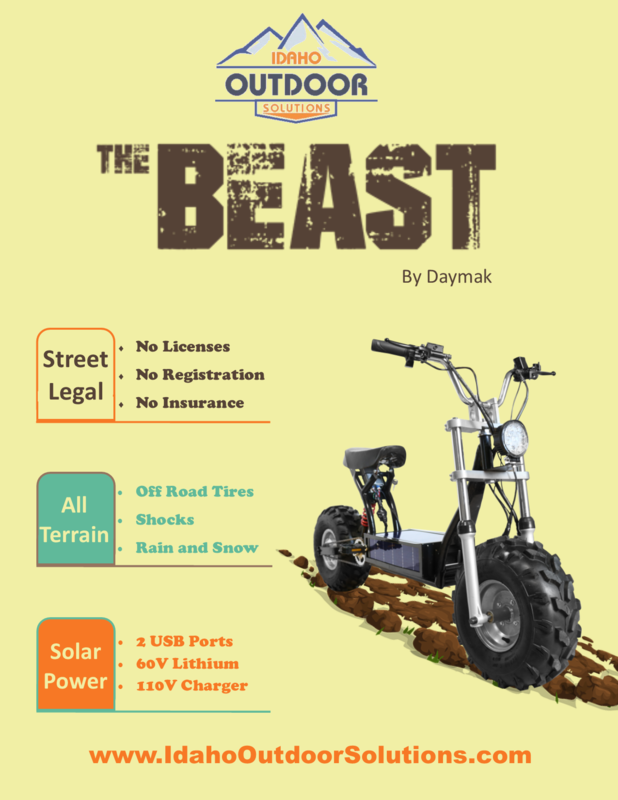 Our customers have been asking for a look at the Daymak Beast D. Well, we have some good news for you, IT HAS SHIPPED! 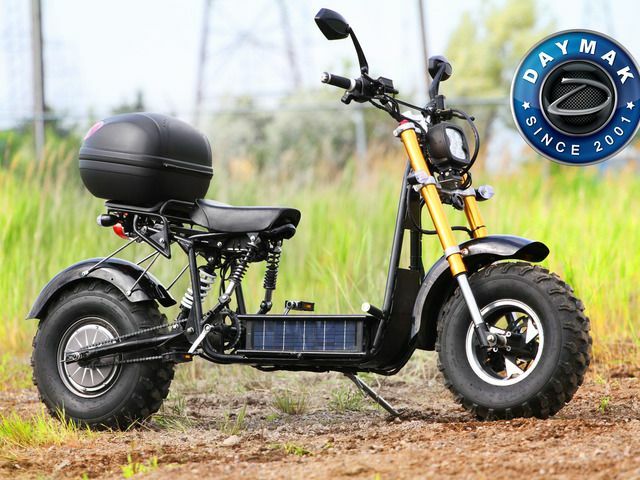 The Beast D should be here any day and available for test driving. Watch the video below for more information. 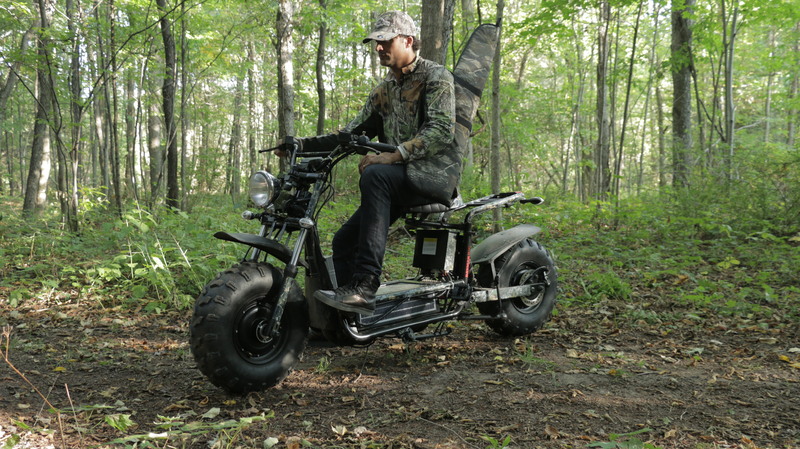 We listened to the hunters, farmers, and campers and created the most rugged Beast version yet. 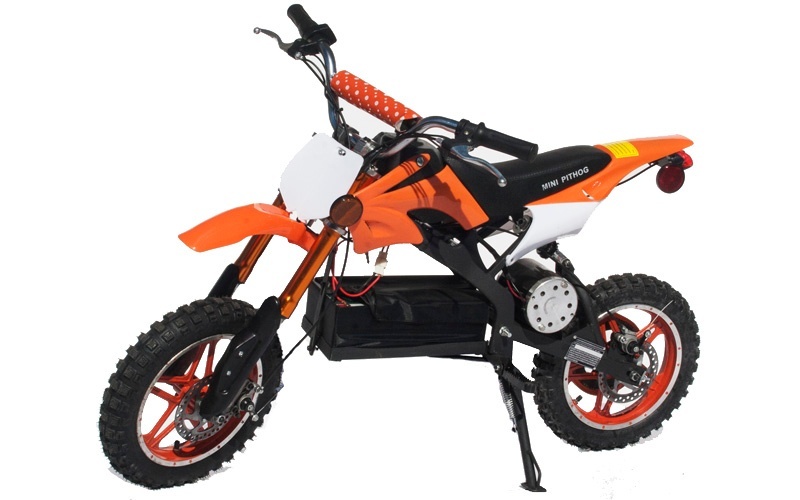 The Beast D comes with TWO powerful DC motors to easily traverse snow, trails, sand, and dirt at speads up to 35mph! The best part? 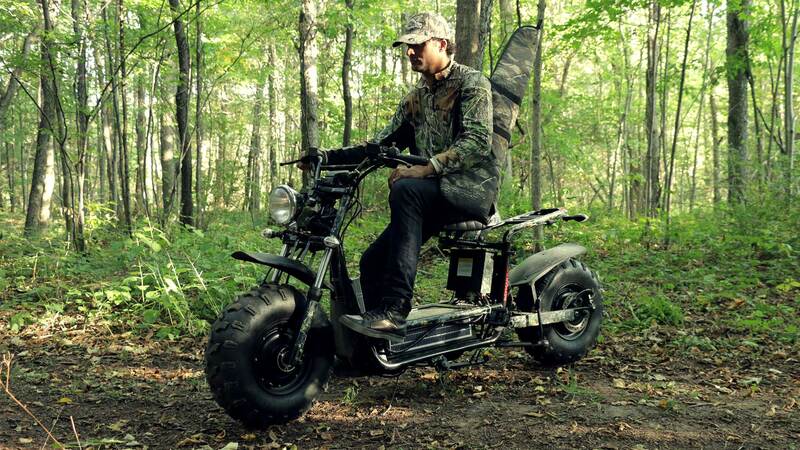 The Beast has no engine noise to spook farm animals or scare game!